in the late 30's there were several Keystone bombers stationed (temporarily possibly) at what was to be called aMcDill AFB in Tampa,FL. On one occasion a small group of 5 or 6 planes were detached to a small grass airport between Bradenton (my home town) and Sarasota. During one night at least, we could hear aircraft (presume McDill) searching for them. They dropped several flares over the Bradenton area searching for the group. As I recall they detached group was not detected. i recall with certainty that they were Keystones but do not have the memory of their look to know whether they were B6 model aircraft or an earlier model. I do recall, with clarity, the front gunners station and the machine gun mounted on a rail to allow it to slide from right to left to defend against the "attacking fighters". I am writing this primarily to question why command personnel would launch the search aircraft after dark with marginal or poor night flying capability. 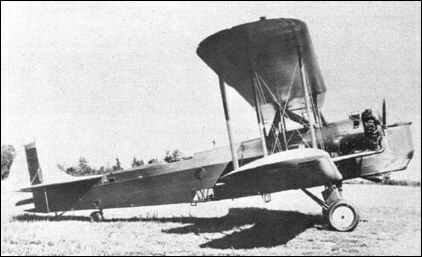 The B-6 as a sturdy "day" bomber not equipped for night or all-weather duty was hardly suitable but was used anyway to carry airmail in 1934-5 when "there was trouble between the Government and the airlines concerning airmail contracts," according to one airmail pilot, Col. Robert L. Scott. The B-6 as a combat aircraft did not lessen the danger of flying the mail. "God is My Co-Pilot," the bestseller book by Col. Scott, records that many types of military and civil aircraft that the Army used for those missions, but none of those aircraft had proper instruments for flying blind. The dedicated pilots flew nonetheless, and many perished. Col. Scott barely survived the "Hell Stretch" but two of his roomates were among the fourteen pilots killed that winter flying mail through the night and the "thick weather." Flying aircraft like that in conditions like that, any pilot who survived had to be a superb airman. Col. Scott later became a famous fighter ace with the Flying Tigers in China, and another early airmail pilot was Charles Lindbergh.